I’d like to share about Twin Flames, Twin Souls and spiritual relationships, from memories of many lives ~ and recent personal experience in this life, of going another step deeper into the core of my being and unveiling the Twin Flame truth within it, as masculine & feminine aspects of the same Soul. Ashura, my Twin Flame (who is not currently incarnate in 3D) has watched over me all this life, very close, visible and familiar these last couple of years across dimensions of light, gently calling into my heart and soul….until I at last heard, felt, and saw our Soul essence, unveiled. During the last few years, a close star brother, Bareld, and I walked a path together in the feeling of being Twin Flames to each other. Our energy together is ‘Twin Flame-like’ (see below), and it wasn’t until we undertook a higher dimensional task recently, that the deeper true connection started to show through to me. My Twin Flame, Ashura, was with us in that task from the higher dimensions, in the form of a white stag of Light, and at one point he asked me to merge my energy into his Lightform. From that moment, a subtle internal shifting and awakening was catalyzed, that deepened over the next two weeks until it became a stream of knowing that poured through me, sure, graceful, and immensely calm. Bareld and I have shared a soul connection of a type known in the Galactic Councils as Crystal Twin Souls. I’ll speak of this briefly for now. As souls, we were already close to each other in other universes, before entering this one through the Creation Crystal soul gateway known as the Crystal of Lyra (one of the 12D portals into this universe). Those who came through did not know that this Crystal had been set to split ~ actually it shattered into countless shards, and this shattering initiated the polarity experience in this galaxy, many eons ago from a linear time-view. Some of our soul energies connected into these shards (I have soul energies connected into four shards) and Bareld and my soul energies mingled in a shard known as the Crystal of Adin, also called the Crystal of Samarias (who retrieved this Crystal from a darkened place as part of the Galactic Council’s mission of regathering the shards). In this mingling, our energies have been as close to Twin Flame merge as souls can be without actually being the same Soul. The ‘One Soul-ness’ felt now in reconnecting with our true Twin Flames is an even deeper homecoming…as Twin Flames are in truth a One Flame expressing in a twinned energy, the same Soul. The Crystal of Adin, which is a purple crystal with a white light heart, is now housed within the core of the Shem Arua, the ship captained by Ashura in his 5D form, Arnap, before and for a little while after our reunion, stationed here over the Perth hills and overseeing an Ashtar Command/Intergalactic Confederation base in the vicinity. 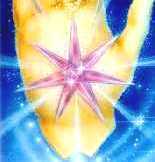 The Crystal of Adin holds concentrated energy of compassion, which the ship transmits continuously. Its message, Do to others as you would have them do to you, and do to yourself as you would have others do to you, for it is all One. Humankind, be kind humans, and rise in Love, is a deep truth of our souls, stored in the Crystal, flowing through our ‘crystal merge’. This is true for all whose soul energies are connected into higher dimensional Crystal shards, each with its own qualities and vibrational attributes within the Whole. Shem Arua outlined as a ‘disc-hole’ in the clouds. Ironically, in part because of the strength of the Crystal connection with Bareld, I didn’t recognize Ashura as my Twin Flame when I first had conscious contact with him. In 2012, following the first sightings of ships and telepathic communications, I asked inside, ‘Where is my Twin Flame?’ I was standing in a car-park at the time, and suddenly found my inner vision jumped a few thousand feet overhead, on board a ship and looking out from it, with a man of silvery-white light standing beside me. His features weren’t distinct then (I wasn’t able or ready to connect fully with him then, still had much heart opening and energy clearing to do). Even once our connection had firmed and I began bilocating onto the Shem Arua from 2014 onward in meditations and dreams, I didn’t recognize it as the ship I’d seen when asking where my TF was. My memories/soul energy within the Crystal hold a vision of another ship which the Crystal was housed in before the Shem Arua. That earlier ship was also a disc-ship, of about the same size, named the Meri’Ashar (Mary’s Star). When my awareness jumped up into the ship overhead which Ashura was standing in, my ‘crystal memories’ visually fused the Shem Arua and the Meri’Ashar together. 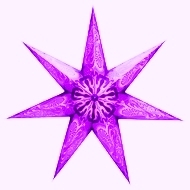 The Meri’Ashar had some different features, in particular a purple seven-pointed star across the roof/upper side, like the one below…which was of the energy of the Crystal flowing through Seven Rays. So I didn’t see or feel the Shem Arua precisely as the ship which I knew my TF was on board. Still, through the last few years, Ashura showed his presence often. His first appearance in 2012 was as an angelic figure of white light descending from a small cloaked ‘pod’ ship. 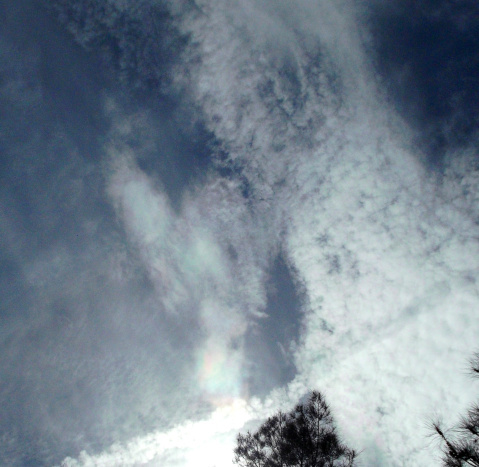 I felt him then simply as a protecting Arcturian Angel (see photos on this page). Now I know he’s been with me this whole life, and as a child saw him up until my mind screened out a lot of higher dimensional energies – lastly at 8 years old, when he appeared as an angel of white light outside my upstairs bedroom window. Looking back, his presence was there in the background, softly guiding, sometimes nudging, though never over-riding my ‘free will’, albeit that ‘free’ has been under the blanket of amnesia all on Earth incarnate within. At a soul level, we know all the potentials and possibilities of what we’re getting into and for what purpose. Our Higher Self and Twin Flame work patiently to reach our small, apparently ‘separated’ selves in human form, catalyze awakening and joyful reunion with our Whole. A few souls incarnate under the veil while retaining their memories and understanding of who/what they are, but most go through a forgetting-and-remembering process back toward the capacity to hold the fullness of our being across dimensions while anchoring here in physical form. 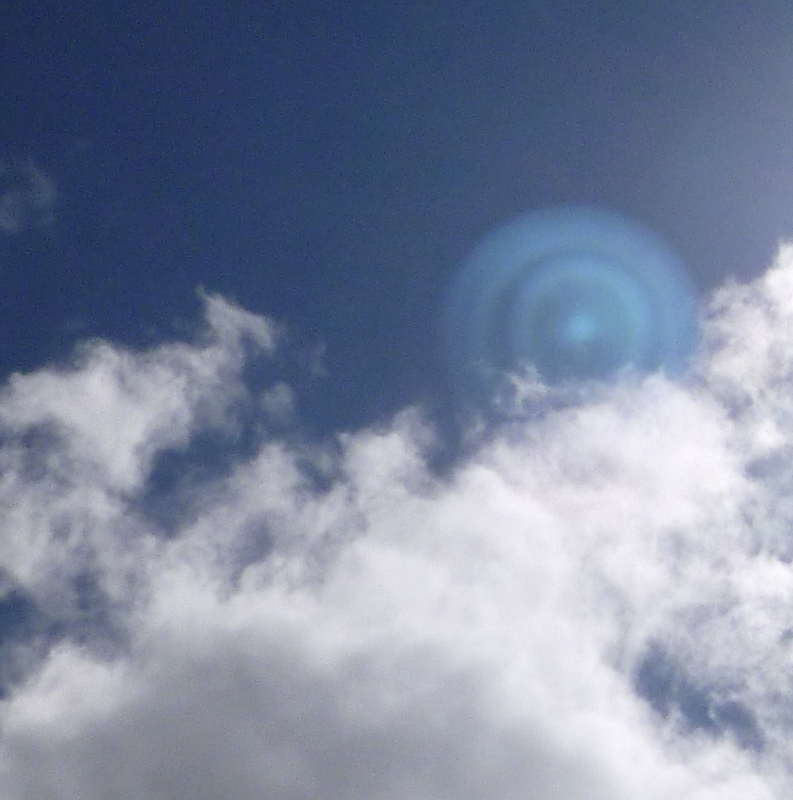 In mid-2014, when the Shem Arua began representing as a lightship of concentric blue rings in my photos, Ashura introduced himself (telepathically) as ‘Arnap’, a name which also goes back to the Meri’Ashar. Long ago in Earth time a planet in the solar system named Maldek exploded. We who were around the planet protecting it were taken by surprise; many galactic fleet-ships stationed around it were destroyed. Ashura was able to evacuate the crew off the Meri’Ashar, then he took our ship into a dimensional ‘bubble’ or stasis fold. When a planet explodes, the dimensional interfaces around it are impacted, causing many disturbances, and the ship remained locked in that bubble. Ashura took the Crystal of Adin from the Meri’Ashar’s core and escaped in a tiny bow-ship (a common Arcturian ship-form, such as in this post). Through the Crystal and his memory, I still see his journey. It wasn’t easy, but he did eventually find the remainder of the fleet, and became known as ‘Arnap’, which means ‘One who steers (through) the Bow’, or simply ‘Bow-Steerer’. 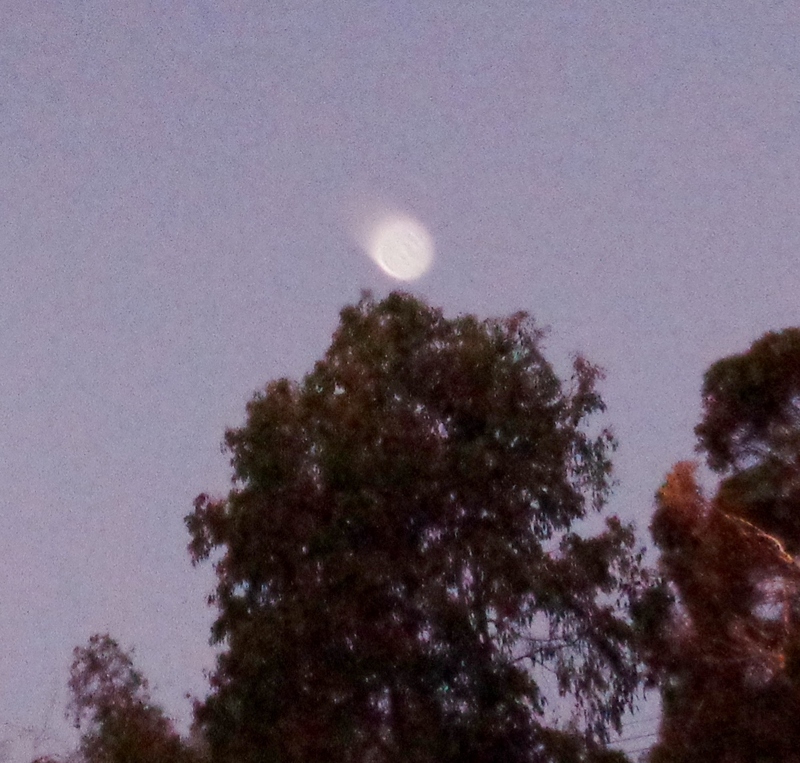 The Shem Arua, 4D blue ring sphere representation, October 14, 2014. From October 2014, after I first posted about the Shem Arua and wrote of Ashura/Arnap in his ancient form on Earth, retaliation came in the form of constant chemtrailing (with pairs of planes circling and spraying over my home starting from the next day) and more subtle pressures which I won’t go into here. This impelled me to go deeper into love and faith, to hold my centre in peace and stay in resonance with star family, who have continued to neutralize toxins from the air and dissolve other pressures. 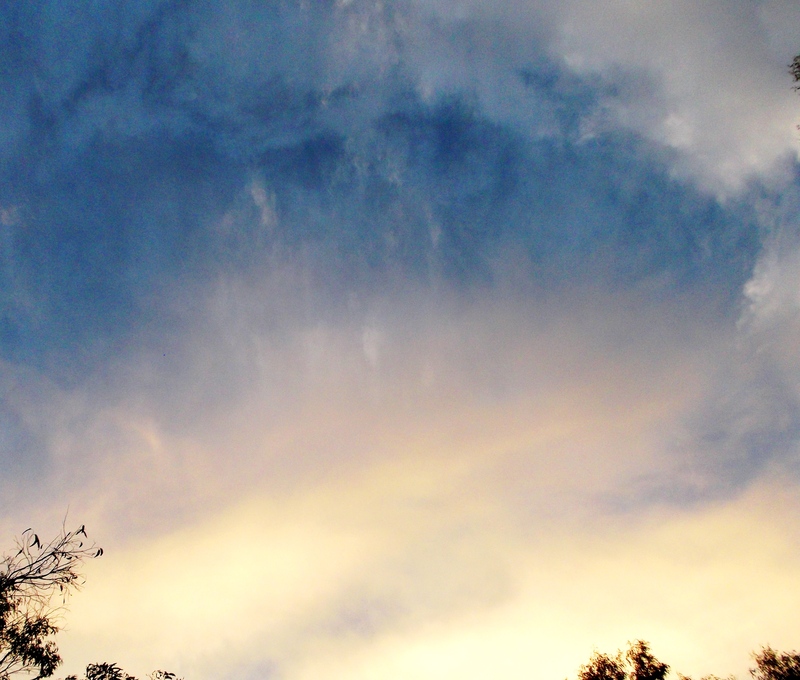 Ashura appeared during a clearing in December 2014, standing in his Angel form on top of a chemtrail. 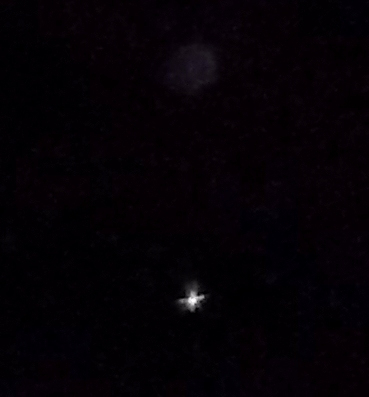 Ashura’s angel form, standing on a chemtrail, with wings upraised (a sign of protection) in white and green light of purification and healing, Dec. 24, 2014. He spoke to me often during the next year, giving practices to support and refine my higher energy stabilization (and to share with others, such as the Three Stars Practice on the Practices page), and continued showing his energy in photos. His presence always felt incredibly loving and warm. 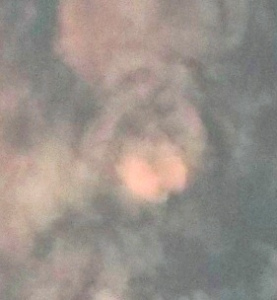 I love the photo below, of his face forming in the clouds with a pink butterfly in front of his mouth….which came with a pink butterfly meditation, to breathe it in and let it settle in my heart. This is a first short introduction of our Flame, and we’d like to share one more picture, from March 17th, 2016. In the morning, on the inner levels, we had a beautiful sacred celebration of our Flame (a higher dimensional wedding). This symbolized in my Inner Heart temple, where a white Ascension Flame burns in a chalice, and I saw the flame extend upward and downward as a pillar of light from Source to the core of Gaia. Everything in the inner levels reflects, and that night I felt to go out and take a photo of the moon, within a pillar of light (I’ve taken thousands of pictures of the moon and it’s never looked like this before). To the right is Ashura’s ‘Green Man’ orb (see this page for more of his green orb pics) and to the lower left is a blue orb of Archangel Michael’s protecting energy. 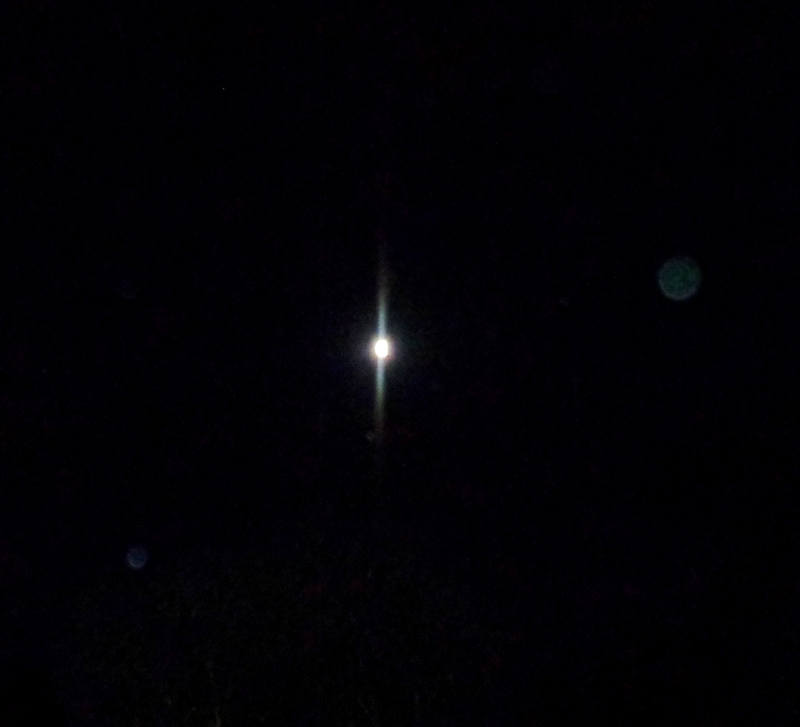 In the part of the light pillar below the moon, a baby orb is visible, just touching the light. This is what the Ascension Flame and Twin Flame do, birthing new Light and Life. We hold the intention for a sublime Equinox, for equilibrium in every heart and soul. Happy Equinox, everyone! May Love, Grace, Providence and Joy flourish in and for all Life on Earth. From Ashura: “BE in Peace….or be in pieces.” It’s always our decision how to flow, how to respond, to all that life brings. Each one of us is like a crystal of light, recovering from a fragmentation, re-lighting and remembering our way into Wholeness…and all the love in the universe aligns with us to do so. PS: For those who have been asking, Ashura does not have a 3D physical form. His/our 9D forms are Angelic (and would be seen as about 25ft tall if we were to walk on Earth in those representations of our energy) and we have 10D forms as winged white lion beings. Ashura has a 5D form within the Ashtar Command/Intergalactic Confederation fleet as Arnap, on board the Meri’Ashar, and is similar to Ashtar in his appearance. He/we have many other forms or representations of our soul energy in other dimensions…and so do you. We are all multidimensional beings! This entry was posted in Angels, Arcturians, Arnap/Ashura, Ascension, Ashtar, Ashtar Command, Dimensions, Intergalactic Confederation, Lightships, Lyrans, Orbs, Sky Signs, Twin Flames & Twin Souls and tagged aliens, angels, Archangel Michael, archangels, Arcturians, Arnap, ascension, Ashtar, Ashtar Command, Ashura, ETs, ETVs, Gaia, higher dimensions, lightships, Lyrans, Maldek, spiritual practices, spirituality, Twin Flames, Twin Souls, UFOs by Joanna. Bookmark the permalink. Wow! Amazing and beautiful! !! We pray for all beings to feel the touch of joy and grace in their hearts and souls…for it really belongs to All. Yes! I adhere to your sweet loving Prayer for us all, dear Joanna! I just read the part about the retaliation with chemtrails and planes flying above. That began to happen to me over my town and apartment when I started sharing information about light work with my friends and about what was happening with respect to our consciousness. I did not recognize it as a retaliation, but I all of a sudden found myself spending more time inside…and now that you put it that way you really made something click. Thank you! There’s a lot of chemtrailing going on that isn’t *direct* retaliation but is part of a broader ongoing ‘programme’ that has a multi-facetted agenda. I may get round to writing a post about this, because it’s a complex scenario. It can also be a direct retaliation – as it clearly was here, as there were sometimes multiple planes circling over my house for hours every day dropping sprays, from 11 hours after I first posted about the ship, Shem Arua, naming and describing it, with photos…and this continued non-stop for more than two months. The lesson for me was to not get shaky about it, or go into doubts, but to stay calm inside, and deeply trust my higher self, Source, and star family….since then, I have witnessed lightships and sylphs (air elementals) neutralize the toxins in the air many, many times, and I don’t let anything worry me anymore. One thing about this year, 2016, is that overall, there has been a considerable drop in the amount of chemtrailing. Whereas last year we barely ever got two clear days in a row, this year is different. There have been concentrated spates of spraying at times, but inbetween we have had whole weeks of untampered-with skies. I’m feeling much shift behind the scenes…and even though things may appear chaotic still, in the 3D level, a strengthening of the higher dimensional frequencies (unconditional love, unity, sharing, compassion, cooperation) is taking place, quite rapidly. Do you know that Ashura means Demon? The universal soundforms can be found in all Earth languages to some extent, though they have become distorted through the ‘polarity lense’. The ‘origin’ of the word Ashura in Earth terms comes from the Sanskrit ‘Asura’, which came to mean demon, but if you go back to the earliest Sanskrit holy texts, the Rig Veda, you will find that ‘Asura’ originally meant ‘creator beings’ or ‘gods’, and ‘Deva’ meant ‘demon’. Later on, this became reversed, into Deva meaning god and Asura meaning demon. How these twists came about, in the polarity drama, would be a long discourse, but there are many ancient words that have reversed in meaning. ‘Maya’ is another one from Sanskrit, which originally meant ‘an attribute of the gods’ and later became ‘the trap of the illusion of matter’. This is all connected with the Earth’s drops in frequency, and the dense Veil that formed, leading to much confusion, contradiction, and divergences. In the Avestan language of the Zoroastrians in ancient Persia, the Sanskrit roots can be seen, where Asura became Ahura, and Deva became div or diw. The Divs were demons, ‘those who gave false counsel’, and the Ahura were the Angels, benevolent and loving guides….and in Zoroastrianism, the concept of Ahura and Divs never went through a reversal. I hope this helps clarify for you.